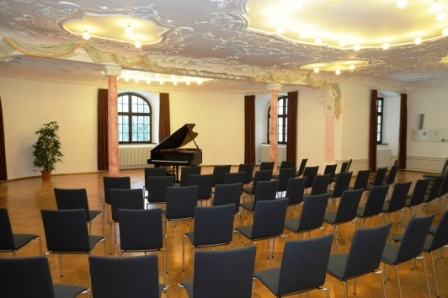 You can hold your conference or retreat - or you can make music and sing - in the historic ambience of the former theatre, the one-time reception hall, the previous study, the old courtroom, or other historically important rooms in the monastery. 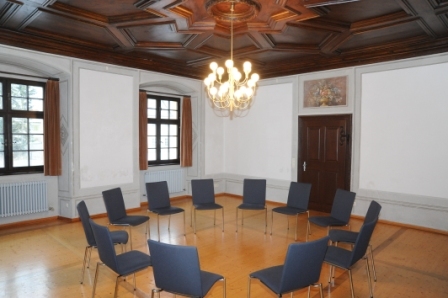 Our 9 conference and event rooms are housed in the south wing of the convent building. 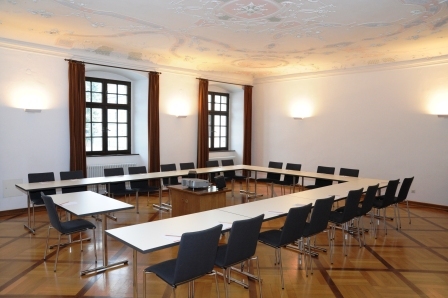 All our rooms, from the “small” seminar room measuring 30 m² to our great hall (325 m²) are equipped with a combination of baroque flair and modern technology. Our team of chefs looks after your physical wellbeing by providing coffee/tea, snacks, lunch, cakes, fresh fruit and evening buffets. We are very happy to accommodate special requests. In the evenings, our tavern with its local beers, wines and non-alcoholic drinks is a pleasant place to spend a comfortable hour or two in convivial company. And of course on balmy summer evenings, our monastery garden is the other alternative to the beer garden.